Brian, I'm afraid that I must disagree with everything you say! Nicely put. We all learn when people can 'argue' in a civilised manner. Such dialogue is the very essence of civilisation. Long may it continue. Hi Brian, excellent post and one thing I discovered is that keeping a book blog can be stress provoking because to review a book properly it should be the book you really want to be reading at that moment. But if the book is too political or touches on hot button issues you face a dilemna since these books will require the blogger to be open and honest about how they feel. The temptation is to choose a book less controversial but then one's post suffers because its not the book you really wanted to post about. I struggle with this. Ha, Ha CyberKitten. Disagreement can be such a learning experience. Thanks Kathy - It is so interesting that sometimes our blogs are driving our reading choices. I tend to like to get my views out there. Those who become angry over disagreement may not be worth associating with. The Tyranny of Opinion really delves into this. Stay tuned. I recently came across this quotation by Rudolf Steiner: "Love is higher than opinion. If people love one another the most varied opinions can be reconciled - thus one of the most important tasks for humankind today and in the future is that we should learn to live together and understand one another. If this human fellowship is not achieved, all talk of development is empty." One of the hardest things to do is to love a person who has an opinion different from your own. We tend to make our love, our fellow-feeling, dependent on people sharing our same viewpoint and interests. But we can look at the highest morally developed people and see that they don't do this. They might disagree with others, but it doesn't make them full of hatred and violence against them. They will honor the human core, even if they think people are thinking and acting in misguided or wrongheaded ways. I'm not anywhere near that, but it's what I would want to strive for. Hi Lory - I find that sometimes people are fine with disagreement when it comes to thier loved ones but act very different online. So I am fairly optimistic about the big picture. Well thought out and well said, Brian. I rarely post political opinions on Twitter because it can get a bit toxic there, if not downright vicious. In my book reviews on my blog I do let my opinions and beliefs show by weaving those into my thoughts about the books. The lit blog universe seems much more open and friendly. I wonder if that is because all the people involved read so many books. In my experience, people who read books are better informed and have more of the long view from past to future than people who mainly read or watch the news. In fact, when I read the newspapers I generally gravitate to the opinion articles, just using the reporting to get some sense of the facts, always being aware of which way the papers lean politically. I like that you express your views here. Interesting post, Brian and I get where you're coming from. I'm wary of getting too opinionated about anything but books (and even that can be occasionally controversial) because people are nclined to get so worked up. If we could discuss and disagree in a civilised manner it would be fine, but I've heard too many stories of people bringing down the unwarranted wrath of social media on themselves to risk it! Hey Muddpuddle- No physical fights here :) I prefer discussion to outright arguments. Getting along is the thing to do! Thanks WG - I did not even address the comment sections of articles. They are indeed really nasty and I think it best to avoid them. That experience that you had on a book blog reflect the positive atmosphere that most foster. Folks have had positive experiences here too. Thanks Judy. I think that there are two things that make book blogs a conducive place for discussion, you are correct that books help foster thinking and reason. There is also a tendency for “regulars” to frequent most comment section of blogs. In a way, folks know each other. Interesting commentary, and the comments are also interesting! We are so fortunate to have the freedom of expression in the U.S., a freedom that we should use wisely. P. S. Judy - I will have more to say about Twitter when I post on the Blackford book. Hi Kaggy - The issue of social media mobbing and personal attacks is one of the themes of Blackford’s book. I will have more to say when I post on it. Hi Suko - You raise such a good point. Freedom of expression is so valuable and we often take it for granted. I know Russell Blackford. He’s an Aussie and used to write SF and fantasy, so he occasionally turns up at conventions in Melbourne. 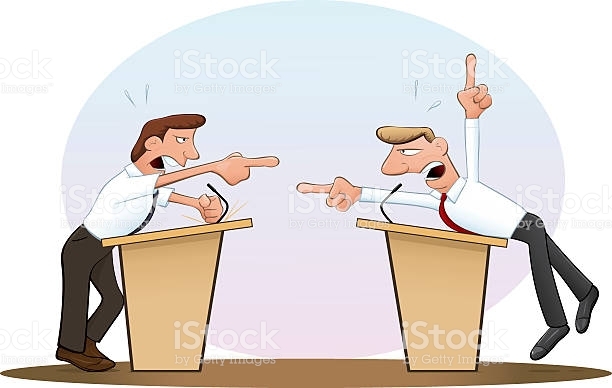 There is a lot of abuse on social media by people who disagree with you, from both sides, but I have found it is members of the right, who demand you “debate”, who actually harass anyone who disagrees with them. And they don’t actually argue why they are right, they get personal. I’ve had personal experience of this from a female journalist from a Rupert Murdoch publication who also sicced her followers on to me - so much for reasonable debate! Some nasty people out there! Hi Sue - Sorry about the experience that you had. I have had some very nasty people come after me on Twitter. I will have more to say about that when I talk about Blackford’s book. The harrasment that goes on when ot comes to certain platforms is outrageous. Yes, I agree with what you say about the courtesy of discussions among book bloggers. The social media nastiness that we hear about always comes as such a surprise to me when I occasionally come across it and I think that makes me lucky to be part of a community which is respectful of diverse opinions. I am not sure I understand your position. I believe that ad hominem attacks are not appropriate when attempting to discuss diverse opinions. Focusing on the ideas being presented or defended should be possible even when opinions about those ideas differ. I am not familiar with Mr. Blackford, but I will look forward to your review of his book. Interesting discussion post. Yes, it is totally okay to agree to disagree. And there is also a time and a place for everything. I find that the conversations I have with close friends and loved ones aren't going to be the same conversations I have with say, co-workers and people online. It really all depends on the situation and the comfort level. I've seen co-workers have to be told to stop talking politics at work, and I am thinking this is not the time or the place, they should know better. Interestingly enough also, I found many discussions popped up within my close knit group after our current President took office, but in the end we agreed to disagree and just keep it moving. I find it interesting hearing other people's viewpoints, and I don't get angry if we don't agree. I especially appreciate it, because as you know we disagree on a number of different issues but you have always been respectful. But to respectfully disagree with Sue Bursztynsky, I have received some pretty nasty comments from people on the left side of politics. I have been accused of being anti=intellectual and unscientific (only not in language that polite) because of my beliefs in God. I've been accused of being a bigoted, homophobic, anti-choice white because I believe abortion kills innocent humans and think homosexuality is a sin. I've been accused of committing hate crimes, not because of anything I've done, but because of what I believe. I have seen people who hold my beliefs lose their businesses and be forced into bankruptcy. But...looking at myself....I was just talking to my husband about how easy it is for ME to become combative and trollish on the internet. I really need to get off Facebook, because it makes it so easy to say things that antagonize other people and not really make things better. I told Josh that I am in danger of becoming a troll wolf. A nice person by day, but a wolf on Facebook. Hi James - My main point was that it is OK to disagree and that it should acrimony. More to come. Thanks Sharon – We have our disagreements but we actually agree on a lot. Part of the disagreement thing I think is the fact that we are both willing to actually discuss disagreements. Sorry to hear about the name calling and personal attacks. It is completely uncalled for. I do see the problem on both sides. I think that the worst of the right and the left tend to do act badly in different ways. When I post about Blackford’s book I will have more to say. The troll – wolf thing really made me laugh :) You too have always been respectful. One problem that I see with Facebook is a lot of these memes that people post seem to be designed mostly to antagonize the other side. Social media really can get terribly aggravating. Hi Lisa - The book blogging community is indeed outstanding. Hi R.T. - Incivility in our national government is indeed becoming worse. I will say that both Barack Obama and George W. Bush were both exemplary in their civility. I hope that we can get back to that. Hi Naida - I agree the workplace is not the place for these discussions. I also have agreed to disagree with many of my family and friends. What a good discussion. It's a great challenge to try and express a possibly unpopular opinion. I'm a pacifist by nature and have felt nervous about expressing points of views that others might not wish to hear. But I realised that I still enjoy reading well expressed points of view that disagree with my own opinions. So when it comes to those of us who review and discuss books, it's nice to think that we're all unanimous on this one issue, at least. In fact, trying to get our heads around arguments that we disagree with might be good for us. Important ideas, Brian & thanks for raising this. We've just had a State election here & the week beforehand a comment made by the Opposition leader on immigration (last year, I think) was aired. He lost & it's been said that it was his comment that brought him down. We were discussing how the media latch on to random or spur of the moment comments that people, leaders especially, make. I didn't vote for him for other reasons, but I often think it's ridiculous how a person's career can be destroyed by this predatory behaviour. There are certain topics that you just don't discuss in politics because we can't have a reasoned discussion on them. It's all emotional & knee-jerk reactions & I think that's a real problem. Thanks Carol - The issue of public figures and others being unfairly attacked and the subsequent fear of expressing opinions is the subject of Blackford’s book. I will be discussing that more in an upcoming post.. Thanks Paula - I think even fairly popular opinions often bring disagreement. Taking an unpopular opinion is even more difficult. I think that most of my college commenters are open to a diversity of opinion. I think that some bloggers still shy away from controversy. I think it can be easier to disagree with loved ones because we do share some areas of commonality. That softens the arguments, or gives us areas we can retreat to and just avoid the controversy. When the disagreements can't be overcome, it's incredibly bitter and painful and those relationships often don't survive. But can we learn to love people with whom we have absolutely nothing in common? And along with that love find a greater commonality, a higher understanding through which one side does not seek to subdue or control the other? I think that's the real challenge. It's a big one. Well said! It seems like these days we have forgotten that we can disagree with each other and still get along. We have also forgotten how to disagree respectfully, how to listen to other opinions and how to be willing to change our own opinions. It is not a comfortable thing to admit we might be wrong so we dig in our heels and defend our opinion no matter what. And of course our current president and "leaders" are not setting the best example. Hi Stephanie - The issue of people digging in and arguing just for the sake of arguing is a real one. I actually think that Washington was a civil place. Trump has ruined that. I like the topic of your post Brian. Even when I recently reviewed Michelle Obama's memoir, I felt I had to go a bit gentle or easy about saying I was a fan of the Obamas & their politics, though I did write that. People who visit my blog know where I stand by now, but I don't feel I want to put my politics in other's faces. After all it's not a political or religious blog or anything like that. Still when I review books I try to air my opinions in sensitive ways, which it seems like you do too. Still it wouldn't be my blog if I didn't air my own thoughts. I'm okay with disagreement too in the comments. The country is so divided. Thanks Susan - I have certain rules about politics and social issues. I try to criticize ideas and actions and not people or groups of people. I also think poliltics and other opinion should logically meld with the topic. That I think is the sensitivity thing. America is divided. Folks all over the world disagree on many things. I really have folks from all over the world commenting here. We have developed an inability to talk to each other. I often wonder where and how this is all going to end? Or how it can get better? Social media has changed so much about the way people with opposing opinions talk to each other. Because we can confront people anonymously, we let loose with everything we have. How do we stop this? I hope someone has an answer. Powerful post indeed dear Brain! will be looking forward for more of your strong head my friend! Hi Laurie - Obviously there are a bunch of issues with social media. On the other hand, there was a time when people were imprisoned and subject to violence over opinions. I realize that still goes on in some places but I think it is a lot less common worldwide. There are also a lot more chances to express oneself now. So I think that despite the problems, we are heading in the right direction. Sometimes it is a step back for every step forward. Thanks so much Baili. I also have a burning need to speak out. Speaking ones mind can risk one’s life for some. I also appreciate your thoughtful comments that you have left here. I thought that this was a very thorough discussion of the subject and I thank you for taking the time to clearly and completely express your thoughts on this issue. I think it's very difficult to be within any community (the book blogging community being just one example) where one feels one can't express certain facts as well as opinions, because they run counter to others. Several bloggers I have known for a number of years have expressed that they feel this way, and I have felt it at times. I personally welcome disagreement. I want people to have other opinions than mine, and correct me if my facts are inaccurate, and if they do they are not going to hurt my feelings, which I'm afraid many people who hold back their comments are afraid of. I have an academic background, so I'm used to exchanges of differing views, but many people fear it. Thanks Judith. Disagreement within a community can ruffle feathers. I can imagine what goes through the minds of fellow bloggers. I see so much diversity of views . I also welcome disagreement. I am used to it with my family and friends. Very interesting post! I never shy away from discussing political or other controversial issues on my blog, but I do often shy away from engaging with other bloggers when I disagree with something they've posted on their site. I find it can be quite hard to disagree in a constructive way in a blog comment, especially when the disagreement is quite fundamental. Sometimes I feel as if it would need almost a whole post within a comment, and that feels like quite a lot to put up on someone else's blog (plus it would take a long time), so I often take the easy route and avoid conflict. But on my own blog, where I have the space and time to develop ideas in a full post, I'm like you and I express what I want to express, and I welcome respectful disagreement. Luckily I haven't had a lot of harassment or abuse, and I haven't seen much on other book blogs—it seems to be more prevalent on social media (and in the comment sections of political articles, as WG mentioned). Hi Andrew- It is true, going on this blogs of other folks can be tricky. I only do that with folks that will disagree with me here and I know do not mind. The blogging community is so much better with disagreement then other platforms. I actually find that comment sections on our blogs are really good because they allow for so much space. With that I agree, there is nothing like an entire post where one can carefully lay out a position with nuance. I enjoy discussions but avoid arguments, sometimes they are inevitable but they rarely result in positive outcomes. On the other hand, a discussion involving differing views is healthy and stimulating. Hi Jane - I agree, I find it best when people have open discussions. Disagreement should arise naturally as a part of a bigger conversation.